There are a handful of WordPress forum plugins available that allow you to create fully integrated online communities using WordPress. Long gone are the days of having little option but to install an entirely separate forum board solution which requires users to endure another membership registration and login process. You can of course still opt in for this method of providing visitors an area to discuss topics, using software such as IP Board, MyBB, vBulletin, or phpBB – but there are downsides to this. Let's see what they are and which WordPress forum plugins you can use instead. Firstly, as mentioned above, unless you run the gauntlet by attempting to integrate both sets of user tables from both WordPress and forum database's, you're going to be forcing your users to manage two separate user accounts. There are guides and products available that claim to do this, but they are a bit hit & miss, with many resources being vastly out-dated or seemingly abandoned leaving you stuck in the wilderness should you require assistance or guidance. This is not just an inconvenience to the user, but also not an ideal approach to take when trying to create and grow an online community of members. Eventually you could end up with people using different usernames and identities across both platforms. It's better prevent this from the start. Another downside is, unless you're able to develop a custom forum skin that matches your existing WordPress theme, both forums and website may appear on-screen as being two completely independent entities, with possibly just a logo as the only recognisable element between the two. Some people don't even bother changing the logo image, opting to use the generic forum software logo that comes provided! This may be acceptable to you, for amateur websites and communities, it's a perfectly fine model to use as it provides you with the functionality that you'll be seeking. However, most people want the professional-touch adding to their online projects by offering a visually seemless integration between website and discussion forums, with full compatibility between its user accounts. Fortunately for us, WordPress forum plugins have improved dramatically over the years and are now coming equipped with features that were only found in commercially available discussion forum products. Let's have a look at some popular WordPress forum plugins. The beauty of using WordPress plugins to add forums to your website is that they're seamlessly integrated with your existing WordPress users and theme. Typically a forum plugin displays its categories and forums on a standard Page, resulting in a visually seemless transition between your WordPress website and forums. Sharing the same database as your website also allows people to create additional extensions and enhancements, integrating website and forums even further. A new plugin that has started off with a bang, the wpForo plugin, enables you to start your own online community with ease. The plugin has some unique features too that helps it stand out from the crowd. You can choose from three available forum layouts, a Classic forum style, an Extended forum, or a Q&A forum (similar to StackExchange), where users can up and down vote answers. There are also many more features loaded into this free WordPress forum plugin. For example member ratings, badges, AJAX-powered moderation, user groups, access roles, each with varying permissions, plus much more – this is a very impressive piece of kit you can take advantage of. A personal favourite of mine is the Asgaros Forum plugin which offers you the ability to start your own fully integrated forum boards in no time at all. Using a standard Page to display your forum categories and its forums, Asgaros offers seemless integration between your site and forum boards. 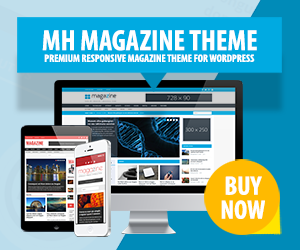 Fully administered from the familiar WordPress dashboard, you're able to get up and running in minutes using this very lightweight yet powerful forum solution. Just create a forum page, create some forum sections and add forums to them – it's as simple as that. Using basic CSS, you're also able to modify the appearance (and even layout) of your forums. This allows you to further fine tune your discussion boards to perfection. Being super lightweight and easily customizable, bbPress is a great solution for your forum board needs. Coming from the creators of WordPress itself, you can't get a better-rounded and more supported forum plugin than this, with a plethora of free bbPress extensions available for you to explore. What's more, bbPress is fully capable of being integrated with the very popular social plugin BuddyPress, offering you a seemless connection between features of both plugins. The WP Forum Server plugin enables you to easily begin offering a place for your website visitors to discuss a whole range of topics that are related to your WordPress website. Administered entirely from the familiar WordPress dashboard, you can control a variety of useful features such as forum categories, moderators, user groups plus much more. 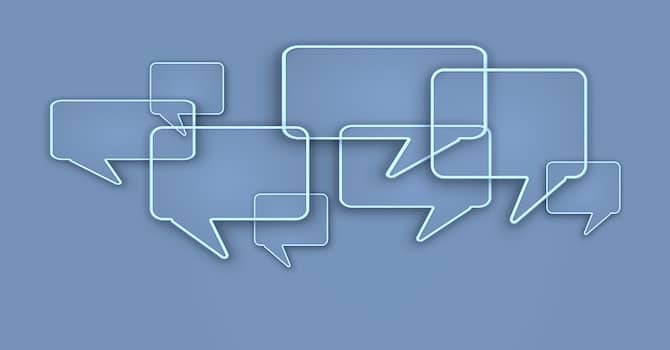 The Discussion Board plugin enables you to create a simple discussion forum for your WordPress website. Discussion threads posted by users appear just like your category archives, with each thread having its own dedicated page. Although not quite your normal forum style, it does offer something a little different and makes it very easy to create some pretty awesome layouts. You can thus customize your forums if you know you're way around WordPress code and templates. AnsPress is a comprehensive WordPress plugin that comes loaded with several user related features that instantly add a certain community vibe to your WordPress website. This WordPress forum plugin makes it easy for developers to begin creating extensions to further enhance the plugin, with multiple commercial extensions available from around $25, with some free extensions available, too. Back in the early days of WordPress, integrating any forum board was quite literally a nightmare, with a very low success rate. bbPress allowed people to create a forum, but it was extremely limited and had a barebones feel about it due to its lack of features. Times have changed and now is as good a time as any to start creating your own online community using any of the solutions outlined above. For sure, WordPress forum plugins will probably never offer the same kind of functionality and features as dedicated forum software can. In particular the commercially available solutions that have also improved dramatically in recent times. This doesn't mean a plugin solution should be discarded though as more and more premium-grade features are being added to these freely available creations. As an experienced community developer and administrator, I would certainly encourage you to try out one or two of the afore-mentioned plugins, you might just be surprised. I’ve been blogging for quite some time now and I’ve just learned about forums with WordPress. This is something that I might consider on my blog soon. Thanks. I initially tried BB Press but no subscribe button would appear on forum pages preventing visitors from posting so I did a search on WordPress plugins and found an official WP plugin that worked fine and it looks better than BB Press.